The only comprehensive source available today to prepare for Fortinet NSE 8 certification globally. Target Audience: Delegates, who feel that they are ready for the NSE 8 lab exam and want to test their knowledge before sitting in the real lab exam. Don’t Attend: If you lack in technology understanding, have limited knowledge on all the Fortinet products and are not ready for the real exam. Target Audience: Delegates with good understanding of Fortinet products, preferably NSE4 or NSE 7, recommended Hands-on experience with Fortinet products 2 - 3 years. Delegates with advanced knowledge and experience on Fortinet products as well as delegates should have passed/ attempted the NSE 8 written exam. Don’t Attend: If you have limited knowledge with Fortinet products. Target Audience: Delegates who are preferably NSE 4, NSE 5 or NSE 7 certified, only requiring knowledge on Fortinet products other than FortiGate, FortiManager and FortiAnalyzer. Don’t Attend: If you have limited knowledge with FortiGate, FortiManager, FortiAnalyzer. This bootcamp is part of Prepforce Education Special Curriculum, developed as preparatory material for the Fortinet NSE 8 exam. Prepforce is Insoft’s own in-house developed brand for material, which covers topics included in the exam blueprint. Attending the bootcamp will sufficiently increase the skill-set necessary and will improve your chances of passing the Fortinet NSE 8 exam. Because the course covers an extensive range of Fortinet products, also part of the exam blueprint, it will extend your real-life Fortinet proficiency. There are, however, no guarantees given with regards to the outcome of the Fortinet NSE 8 exam. Discover the best option for your needs! Are you familiar with Fortinet products ? Are you NSE 7 certified with over 4 years of experience with FortiGate and ability to design, implement and troubleshoot complex FortiGate Firewall deployments? You are not familiar with Fortinet products. Are you NSE 6 certified with over 4 years of experience with Advanced Fortinet Products like FortiMail, FortiSandbox, FortiWeb, FortiADC etc. ? You may have difficulties in configuration and managing of complex FortiGate firewall scenarios! We suggest you to attend the Fortinet NSE 7 training first at an official ATC. Have you passed NSE 8 written exam already? You are not familiar with advanced FortiGate products. NSE 8 exam is very rigorous and requires advanced hands-on skillset on all Fortinet products portfolio. if you feel that you have great hands-on experience on Fortigate products, we may have a solution for you. The training focuses on Fortinet Advanced Products that you need to pass the NSE 8 Practical Exam (FortiMail, FortiSandbox, FortiADC, FortiAuthenticator, FortiVoice). Do you feel confident that you are well prepared for NSE 8 practical exam? The NSE 8 lab exam is the most advanced industry certification for Fortinet. The only source of training for the Fortinet NSE 8 certification, intended to serve as the final step in your preparation to take the Fortinet NSE 8 Lab Exam. This Advanced Bootcamp offers five full days of in-depth, comprehensive Fortinet NSE 8 Lab Exam training, conducted by our team of industry-renowned instructors with extensive real-world experience. Covering all the technologies included in the exam blueprint, PrepForce8 Advanced Bootcamp will increase your skills in designing, deploying, configuring and troubleshooting all Fortinet technologies. Increase the likelihood to pass the NSE 8 lab exam. Extend your security skill set for real life networking experience. 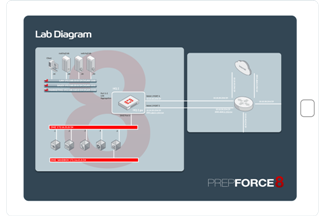 Configure Advanced FortiGate features in complex scenarios. The most comprehensive lab covering all exam topics.